2nd and 3rd meeting of the INTELed Teacher Professional Development (TPD) program were organized and delivered successfully by the INTELed CESIE staff. 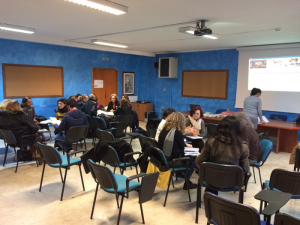 The two meetings were attended on January 14th and January 16th by 25 teachers working with SEN pupils in mixed classrooms, in primary and secondary school. The INTELed project (www.inteled.org) aims to support teachers in acquiring knowledge and skills about the use of multi-sensory technology for Special Education Need – SEN children (in inclusive education contexts) as well as to develop a methodological framework for training teachers based on embodied cognition and multi-sensory technologies. 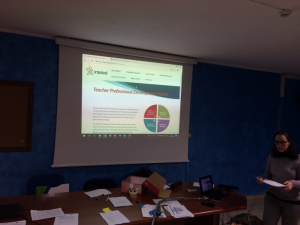 The 2nd meeting in Palermo started with the illustration by Dr Laura La Scala of the INTELed training method, in which the various phases of learning were presented to the teachers. From the familiarization to the concept of embodied learning to the complete autonomy of the teacher as a reflective practitioner. 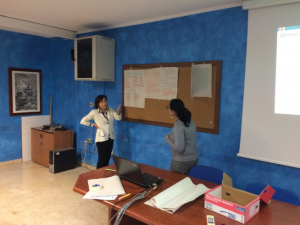 We administered teachers (at the beginning and during the training) a questionnaire on their preliminary knowledge. All teachers evaluated the effectiveness of the INTELed method and the need for a greater integration of this method into the classes. During the 2nd and 3rd meeting, we tested with the teachers the existing games, such as the angle makers and the math mage, using Kinect motion sensors. The body is the main device through which we realize experiences, develop learning and produce knowledge. That’s why for SEN students, the movement using the Kinect games could facilitate receiving information compared to the more traditional and static learning methods (please to visit our repository: https://www.inteled.org/repository/). During the 3rd meeting we experimented a reflective activity in groups so to make teachers think about the importance of the movement and the interaction with the environment for a better learning. We asked teachers about the methods they already use for a more inclusive education of all pupils. 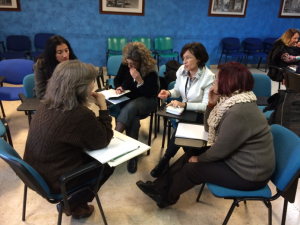 In Italy, SEN students are included and inserted in heterogeneous groups of students (with different levels of learning) thanks to cooperative learning, tutoring and peer-to-peer techniques. The main techniques for SEN inclusion, used by Italian teachers, are: online educational games and learning apps (Kahoot and Socrative) but also physical activities such as the simulation of real situations and the role playing. Through the simulation of real situations, the students: experience in first person, acquire greater autonomy and greater control of their emotions, communicate with people. 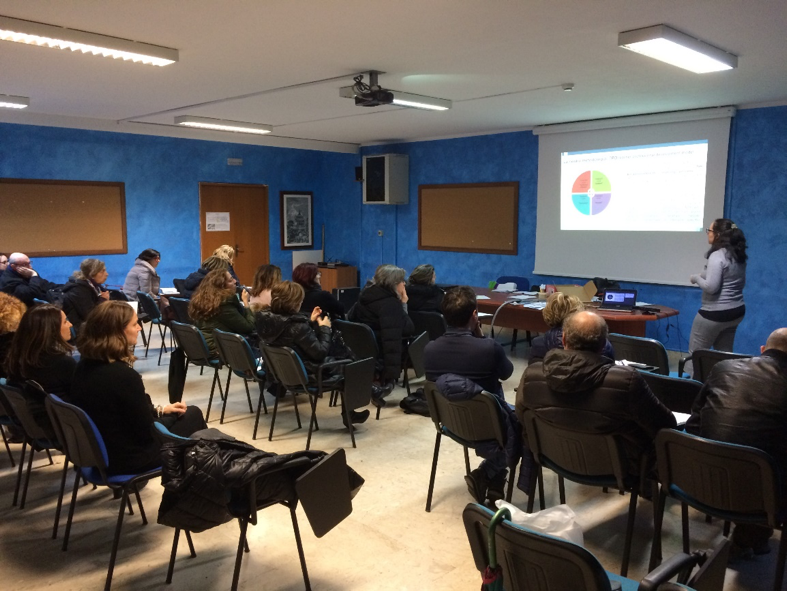 Italian teachers shown a lot of interest in embodied learning techniques and they plan to experiment Kinect games in their class groups, so to start their piloting by the end of January 2019. INTEled staff wish teachers a successful testing in schools!